California teenager Zac Sunderland sailed back into U.S. waters in the middle of the night and was one leg short of completing a solo circumnavigation. 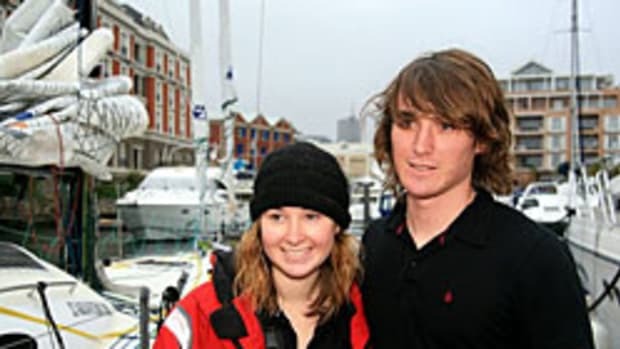 The 17-year-old has about 100 miles to go to become the youngest person to sail around the world alone and expected to sail into Marina del Rey, near Los Angeles, at 1 p.m. EDT Thursday — 13 months and two days after he left. Click here to read a report by the Associated Press.